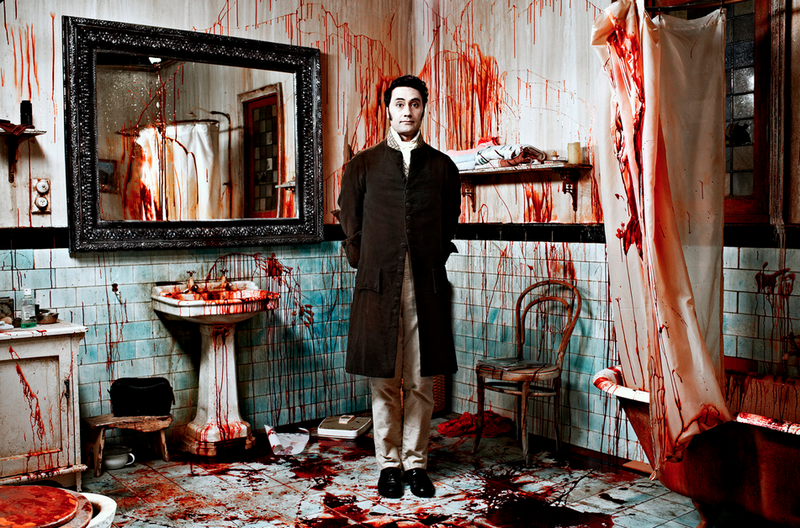 Taika Waititi's latest film What We Do in the Shadows has been selected to screen at the prestigious Berlin International Film Festival in February, after its recent debuted at Sundance to rave reviews. What We Do in the Shadows will have its European premiere in the Generation 14plus competition section of the festival. It is one of three New Zealand films selected to show in Berlin. The Berlin International Film Festival will run from February 6 - 16, 2014. From The Hollywood Reporter: "Taika Waititi's and Jemaine Clement's What We Do in the Shadows introduces a quartet of vampires who share the same Wellington house and, like any other flatmates, squabble over the chores -- the difference being that tidying up is a good bit more gruesome in this household than in most. Ace writing and comic performances ensure love from the geek sector, while the presence of Flight of the Conchords co-star Clement both behind and in front of the camera should help attract attention beyond that realm. an hilarious mock-doc is a shift from the shock humor of zombie comedies." Directors Jemaine Clement and Taika Waititi, assisted by fellow comedian Jonathan Brugh, explore the flatting lifestyle of three perennial bachelors, vampires Vulvis (aged 700, maybe 701), Viago (229) and Deacon (107). Listless, dandified masters of the artful sigh, they waver between trying to spook the anonymous filmmaker with their doomy tales, and making silken plays for pity. If you thought never dying might be cool, they're here to tell you about the hollowness at the core of their eternal round of irritating household chores, domestic squabbles and Saturday nights being mistaken for homosexuals in the Courtenay Quarter. Few will be impressed by their haughty approach to younger vampires, though many may admire their openness in addressing such longstanding questions as: how can any man who never sees himself in a mirror care so obsessively about clothes, hair, and skin tone? Both of Waititi's earlier features Eagle vs. Shark (which starred Jemaine Clement) and Boy were nominated for the Grand Jury Prize at Sundance in 2007 and 2010 respectively. Taika was one of five inaugural recipients of an Arts Foundation New Generation Award.